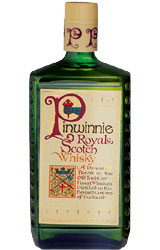 Pinwinnie Royale Deluxe Blended Scotch Whisky, 40% Alc/vol. 70cl. Now this is not only the blend of the month but, it can be a challenge for all you out there to find a bottle. Jim found this dram in a wee shop on the road up to Falkirk High, Railway Station, so there are some out there. As you can see, they have quite a selection. The Whisky Boys believe this deluxe blend is discontinued, so if you are able to find one or two bottles maybe you should keep one, could well be a collectors dram in the future. Jim paid around £16.00 for this bottle in a tin and if you really work hard and search the on-line Whisky retailers you will be able to source one that way. 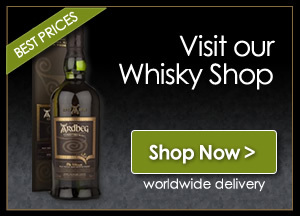 Remember if and when you buy one let them know that the Whisky Boys recommended it. I have only recently come across your site very informative. is in storage I have been selling mainly decanters recently.